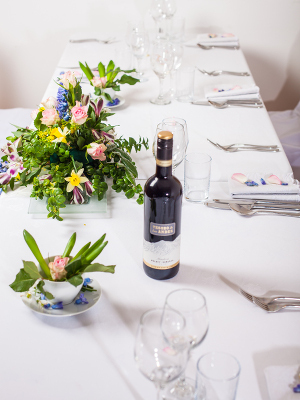 The team at Edinburgh School of Food & Wine have been providing wedding catering for a number of years and find themselves busier and busier each season, as we build a repertoire of incredibly successful events. Once you contact us, we will chat through your ideas, thoughts and wishes and create a menu full of delicious, seasonal Scottish ingredients for you to choose from. Then either visit us on the Newliston Estate or let us come to you at home to enjoy a tasting of your chosen dishes from our menus to ensure that they are exactly what you are looking for. Each event is delivered, served and managed by our team, with access to all of the services that you need to ensure a wonderful day for all. Our offering is wide-ranging and we work closely with a number of Edinburgh venues, as well as offering flexibility to cater in more unusual locations. Simply contact us or call us on 0131 333 5001 to enquire.